This week we are featuring a clean look for the winter. A blue shirt complemented with an orange patterned tie. 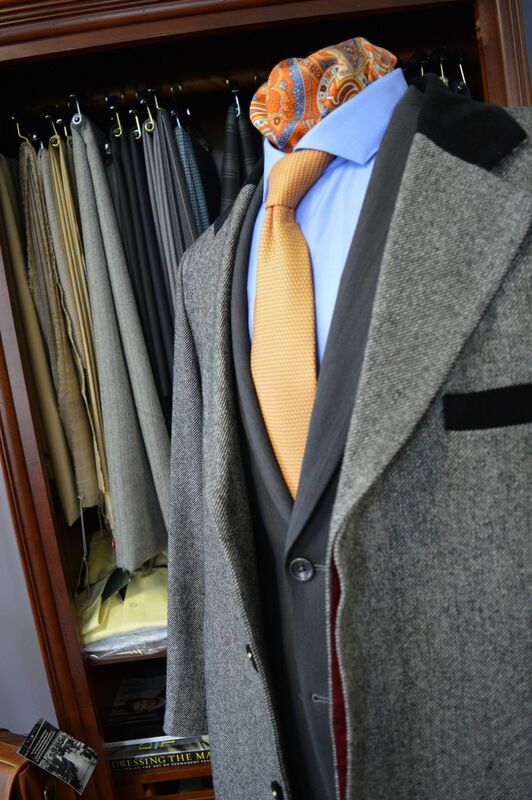 A grey suit coat to stay with the business professional look, and to tie everything together we have a sleek grey Chesterfield overcoat. 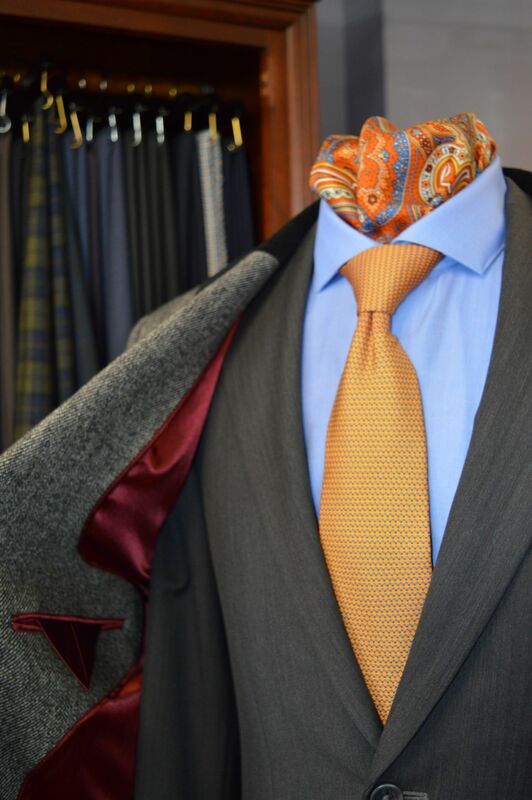 Make an appointment to meet with the best haberdasher in Fairfax and improve your wardrobe today.